Apartment in Recoleta, Buenos Aires - Quintana ! Amazing 1450 square feet penthouse in the best area of Recoleta features three ensuite bedrooms and impressive private terrace with barbeque. Absolutely breathtaking! You will definitely fall head over heels for this 13th floor apartment in Recoleta! Step out of the elevator and step into this exclusive penthouse with breathtaking panoramic views of the city -view the city from your very own private observatory. This impressive penthouse is filled with luxury, from its well equipped modern kitchen to its sleek bathrooms, to its prime Recoleta location and private terrace with BBQ. The living and dining room are very welcoming and full of charm. The art you will find throughout the apartment was carefully selected by its owners to create this cozy atmosphere. The living room has plenty of comfortable seating space and access to the terrace. Sliding doors separate you from your private rooftop with over 40 square meters, your very own personal oasis, filled with plants table and chairs and a BBQ. The dining room has room to seat up to 6 guests in style. Whether you decide to have a moonlit asado outdoors or a candlelit fancy dinner inside, you will definitely fall in love with this apartment, no questions asked. This penthouse features three ensuite bedrooms with cable TV, individual AC units, fan and plenty of closet space. They all have king size beds. On the third bedroom, the king size bed can be split into two single beds. The kitchen comes fully equipped with everything you may need, and more. Quality appliances, marble countertops and a view, what else can you ask for? You will also find a dishwasher, washing machine and a dryer. There is no better location in Recoleta than our Quintana apartment. 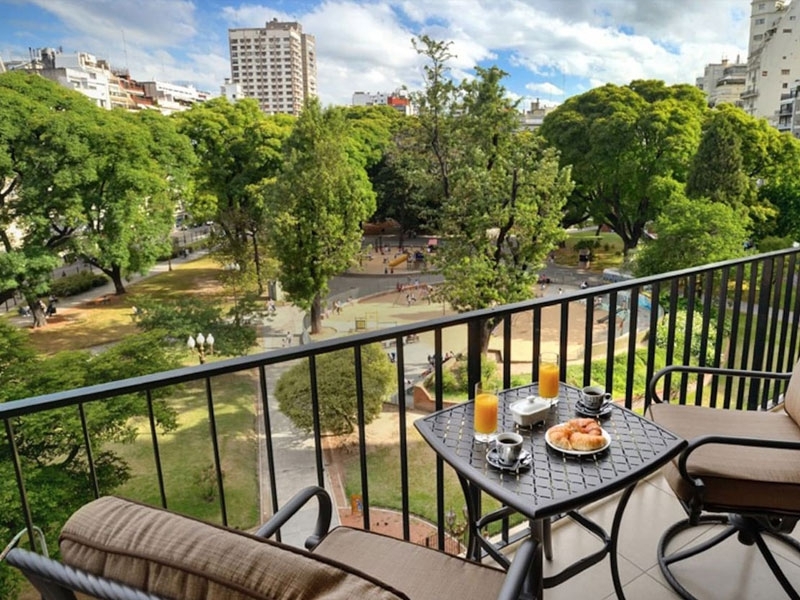 Close to most sights, Recoleta cemetery, parks, cafés, boutique shops and Libertador Ave. just a few steps away, this apartment is the best spot from where to explore the city. 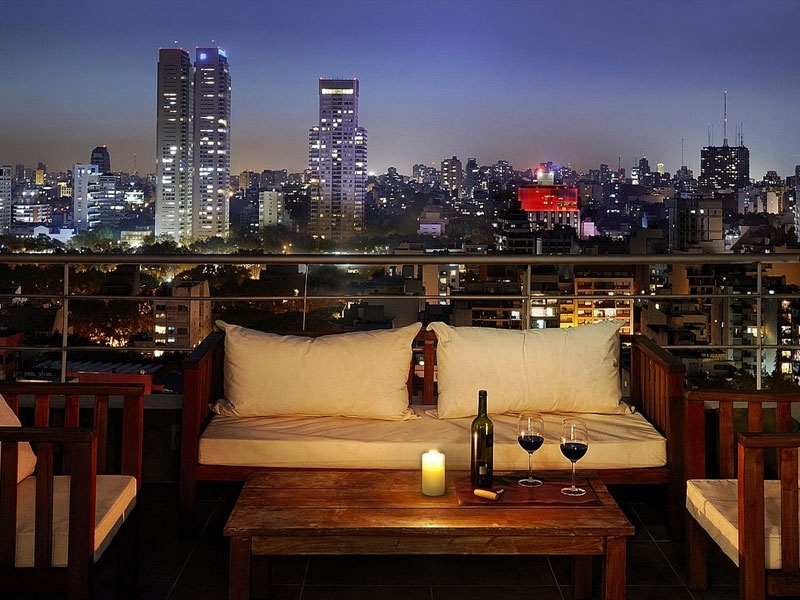 Enjoy the best views of Buenos Aires, both day and night, from your own Recoleta penthouse! The building also features 24 hour security.